Nathan Gaudet is led to the Rock Island County Justice Center to testify for a second time in 2009. Nathan Gaudet, accused of dismembering the body of Adrianne Reynolds, in 2009. The parents of Adrianne Reynolds say they feel no satisfaction in learning of the death of Nathan Gaudet, who dismembered Reynolds’ body after her 2005 murder. Gaudet, 23, was one of three men who died late Monday in a fiery crash in southern Indiana. The accident occurred when the men’s car struck a tree on a rural roadway, catching fire. Toxicology tests are pending and should indicate their cause of death and whether alcohol was a factor in the crash. The Monroe County Coroner’s office identified Gaudet, of Bedford, Ind., along with Justin Thomas, 24, and Sean McClanahan, 23, both of Georgetown, Ind., as the victims. Joann Reynolds said she found it “ironic” that dental records were used to identify Gaudet’s burned remains, given that he removed Adrianne Reynolds’ head with a saw and helped hide it in a manhole, so she could not be identified through dental records. Although Reynolds’ corpse also was burned, Gaudet was not involved in it. In January 2005, the then-16-year-old was recruited by now-convicted killers Sarah Kolb and Cory Gregory to cut the body into pieces after they attempted to burn the remains and hide their crime. Reynolds was a classmate of Kolb’s and Gregory’s and had moved to East Moline from Texas just months before her death to escape bad influences. 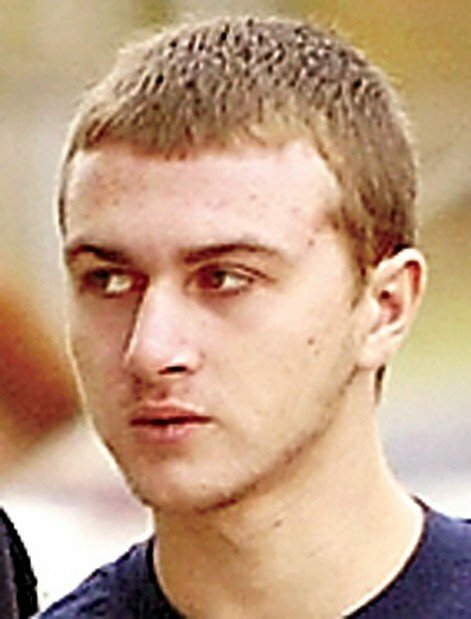 Gaudet admitted his role in the concealment of the homicide and served about four years of a five-year sentence in juvenile custody. He was released on his 20th birthday in November 2008 and moved away from the Quad-City area. Tony Reynolds said his daughter and Gaudet now have something in common: “Adrianne was trying to make her life better when she was killed, and that’s what happened to him. Reynolds was strangled in the front seat of Kolb’s car as it was parked at a Moline Taco Bell during a lunch break from Black Hawk Outreach Center, East Moline. Kolb was jealous of a possible relationship between Reynolds and Gregory, testimony revealed. Kolb is serving 48 years for murder and five years for concealing the homicide. Gregory also is serving five years for the concealment and 40 years for murder. He pleaded guilty in the case, and Kolb was convicted during a second trial, which was held in Lee County, Ill.